They are crucial to survival but how much do you know about your kidneys? Hull University Teaching Hospitals NHS Trust will mark World Kidney Day tomorrow (Thursday, March 8). 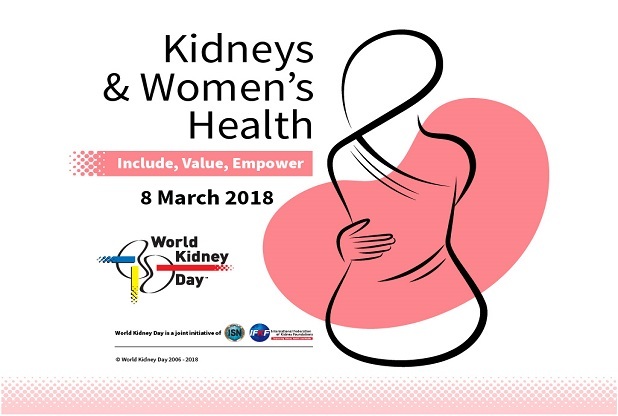 Taking place on the same day as International Women’s Day, this year’s event will focus on the link between kidney disease and women’s health. To mark the global event, we’re showing what it’s like to live with kidney disease, need-to-knows about your kidneys and how to keep them healthy throughout the week. Today, here are some facts about the kidneys and the crucial role they play in the body. Kidney transplants for people living in East Yorkshire are performed at St James’s Hospital in Leeds. About 195 million women around the world suffer from chronic kidney disease. One in three women will develop a urinary tract infection (UTI), which can spread to their kidneys causing damage, in their lifetime and almost a third of those will have recurrent infections. The first successful transplant was performed 22 years later by Dr Joseph E Murray at Peter Bent Brigham Hospital in Massachussetts. Ronald Herrick donated his healthy kidney to save the life of his identical twin brother Richard, who was dying of kidney failure. Richard lived for another eight years after the transplant.